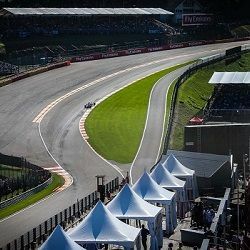 In the picturesque hills of the Ardennes, the Belgian Grand Prix erupts up on to the tarmac of the historic Spa raceway; the longest track in Formula One. 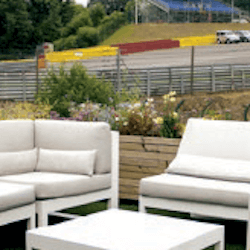 Savour our exquisite range of Belgium Formula One hospitality packages. Dine on a delicious range of food and sip the finest drinks; become captivated by the comprehensive track view and even the sublime countryside. Spa Franchochamps is a favourite with fans; racing does not get much better so hotels can sometimes be a challenge to find. Let us take the stress away by suggesting Hotel de la Source close to the track, or the Pullman Aachen Quellenhof Hotel in Germany. To complete your Spa F1 hospitality package, we can also help in arranging your weekend transfer either by private car or helicopter shuttle. Arguably the most famous stretch of F1 track in the world and a favourite of most F1 drivers……. Situated in the magnificent setting on the inside of the Spa-Francorchamps F1 circuit, at the f….